Another trip to Staines this morning and I seem to have missed the point. It was a lovely morning, the air was still and I thought it would mean a few waders might pay the reservoir a visit. But no. Not one. Only a few Common Terns feeding, some Black-Headed Gulls, Great Crested Grebes and Tufted Ducks. The other notable absentees were other birders. Apart from another young lad called Nigel, there was no-one else about. The experienced birders know when to turn up and when to go somewhere else. Never mind, it meant I could pay another visit to Staines Moor and perhaps see a few Warblers. As per usual it didn't disappoint. There were plenty of Sedge Warblers about - I counted at least six - plus Reed Warblers, Blackcaps and Whitethroats. 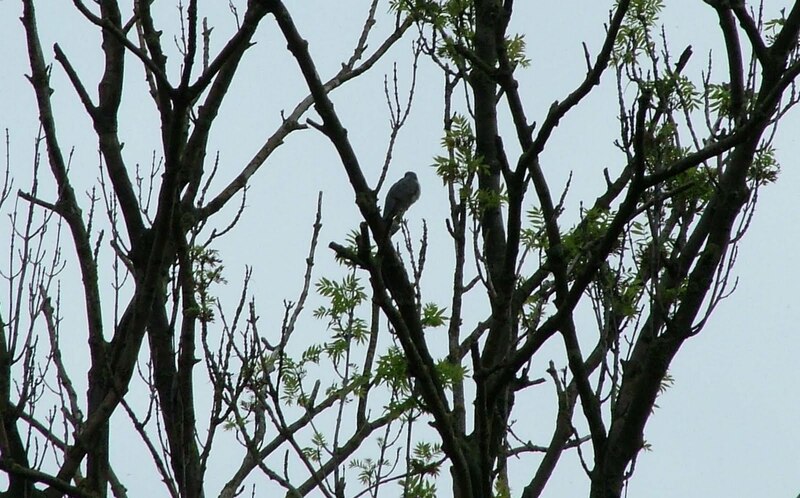 The best sight was a Cuckoo, my second of the year. Nigel and I both heard it, and he spotted high it up in an old dead tree. Cuckoos are interesting in as much as their call sounds a lot further away than they really are. So, a good spot. There were plenty of Meadow Pipit dotted about, plus Skylarks, Reed Bunting, one White Wagtail and a Snipe on the river bank. There were also Common Terns flying overhead, one of which was being bullied by a Black-Headed Gull, Linnet, Swifts and Swallows. Whinchat and Wheatear were to the south (both of which I didn't have a chance to go and have look at because time was short), but for me the best thing was the Cetti's Warbler - one of my favourite birds. As we walked down the footpath towards the Moor from the north past a tree on our right, an amazing burst of liquid song filled the air. Quite made me jump, it was so loud. So pure, too. A beautiful sound from a small bird that is so hard to see. Again it was only movement in the undergrowth that caught our eye as it moved further down path, but that is the draw. So clear a sound but it's pot-luck if you get a good view of one. It's the lure back to Staines Moor for me - the prospect of a great view of this Cetti's, but not knowing when it will be.